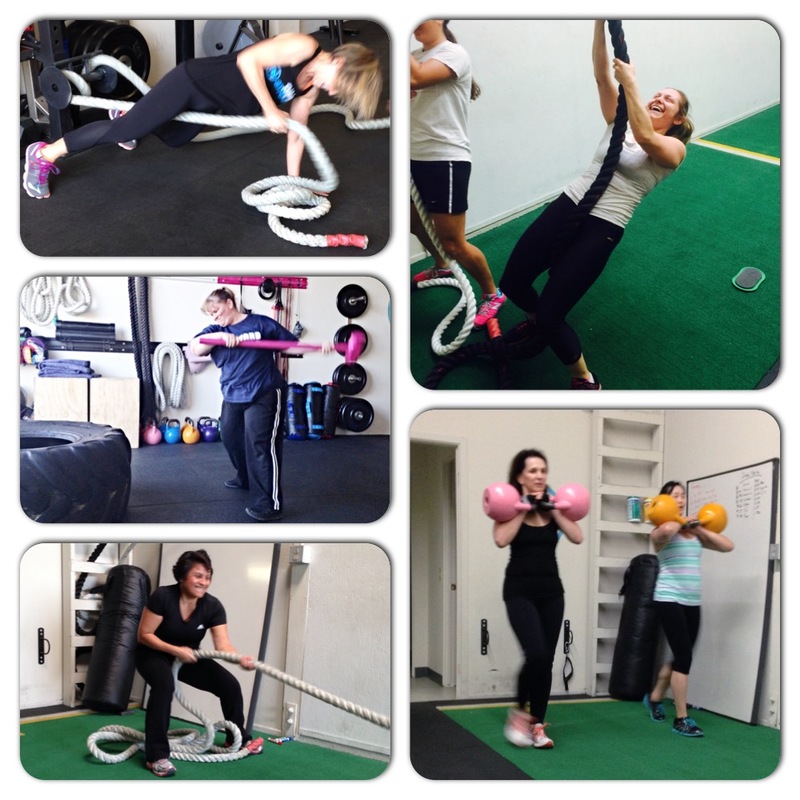 One year ago today, I officially opened my in-person training facility Redefining Strength in Costa Mesa. I’m not a sappy person, but events like this do get me reflecting on all of the hard work and amazing support I’ve had, not only over the last year, but also throughout the years, to help me get to where I am today. It has also gotten me thinking about my start in the industry and about my future, and the future of all my endeavors. Many of you may have noticed Man Bicep hasn’t been updated in FOREVER…Especially considering when I first started, I posted almost every day. And it saddens me sometimes to think that where I started isn’t as much a part of me anymore. When I first started Man Bicep, I thought that name was the best thing ever. I thought it would be my brand. And while Man Bicep is still a name near and dear to my heart, it has to undergo a shift to be a part of my future…A part of the Redefining Strength brand. So from now on Man Bicep is going to be a great place to find out about all of the happenings going on at Redefining Strength and on my new personal blog. I will still provide you with great exercise and diet information, it will just be reposted from my new ventures because I don’t fully want to let go of where I started, but I also know that I need to keep moving forward constantly and put my time and energy into the new ventures. While I owe a lot of my success to what I learned from writing Man Bicep for 3 years before I started Redefining Strength, I also owe a lot to all of the wonderful people who supported me along the journey to this 1 year Anniversary of Redefining Strength. Because as much as you need to be independent and learn things for yourself, you also need to have a good support network and not be afraid to reach out to others in the industry for advice. And I’ve been fortunate enough to find support not only in my personal life, but also in the industry. I could write a whole article thanking my mom and sister for their love and support. For making me the strong independent woman I am today. But today I don’t so much want to focus on all of the personal support, but the industry support because I think, all too often, people in the fitness industry get too isolated and too fearful to reach out. They don’t want others stealing their ideas or taking away their business. So they shut down and close themselves off and treat everyone like competition. But it doesn’t have to be that way. And I’ve been fortunate enough to encounter some amazing people in all facets of the industry. I had great strength and conditioning coaches in college. Brad and Lauren fueled my passion and got me training and working hard. They really started me down this path, teaching me basic form and expanding my view of fitness. It’s crazy to me, thinking back now, on how many things I learned from them that I now use. How their coaching styles influenced the coach I’ve become. How their putting up with my sometimes over-emotional self, helped me really grow. So thank you Brad and Lauren for being amazing coaches that helped start me down this path and made my college tennis career a success. I must also say another huge thank you to Brad because just a month or so ago he reached out to me and told me how proud he was of me. He didn’t have to. But he did because he is a great coach. And it meant the world. Things like that keep you going and even motivate you to work harder. Next I have to say thank you to the man who gave me my first fitness job – Dave. And while I say he gave me my first job, he did so much more than that. Dave took a chance on someone with no experience. He gave me my start. And then he allowed me to work in almost every area of the fitness industry. For Dave, I worked as a Customer Service Rep then he took a chance on me and made me Sales Manager. He recognized my potential and quickly then promoted me to Assistance Manger of the club. And when I said I wanted to get certified to train. He told me he’d let me train if I got certified. He taught and encouraged me. And he constantly pushed me to go outside my comfort zone. Before I was officially training, we had a Cycling instructor no-show and I showed a little interest in teaching. I’d only take Cycling a few times, but Dave told me to jump in and try teaching. But the fact is he got me learning. He promoted my passion and encouraged me to love working. To see my job as more than a job. I’m a very passionate person, which can be a great thing. However, for me passion can also be a double-edged sword. That also means I can take things very personally and sometimes overreact. I’ve gotten better but am still far from perfect. But I realized this flaw and started working through it because of Dave. Not many bosses would put up with you yelling back at them about a management issue or becoming overly passionate at work. Not many bosses would then calmly take you into their office and sit you down and discuss how you really need to handle things. Most bosses wouldn’t take the time to teach you. Or to help you grow so that you could at some point take their job. Dave recognized talent and knew what it took to keep good employees…That is what makes him a great boss and a very successful person. And I’m sorry to say most bosses aren’t like Dave. But if you happen to be lucky enough to work for someone like Dave, make sure you take advantage. Dave helped me grow and I credit my ability to do 50 things at once and handle them with passion, but less over-emotional reactions because of Dave. So thank you Dave! At the same time I worked for Dave, I worked for a company called Bodyscapes Fitness which is owned by Rob and Alan. I only worked for BodyScapes for one year after they acquired the gym I worked at from another large company. But when I was thinking about opening up Redefining Strength, I reached out to Alan. I honestly didn’t expect him to respond. He owned a huge chain of gyms and I had barely worked for them. But he did…Almost immediately. And he answered all of my questions. And went above and beyond. Here was this guy who could have blown me off and it would never have affected him. But he took the time to respond and help and offer advice. It is rare to find such wonderful and helpful people. People who will help you out even though it doesn’t benefit them at all. Alan inspired me. He showed me the type of person I wanted to be if anyone came to me asking for advice or help. It’s funny because the other day I had a client mention that a friend’s daughter was interested in getting in to training. I told her to give the daughter my number and email and that I would answer any questions she had and even meet with her. She responded back asking me what I would charge and then why I wouldn’t charge the girl. And it made me think back to Alan helping me. It’s because we are passionate about what we do. Because we can see potential in other people and want them to succeed. I would also like to say a big thank you to three trainers out here in Cali who treated me like a friend after meeting me once…who offered advice even when they barely knew me – Eric, Rik and Melody. 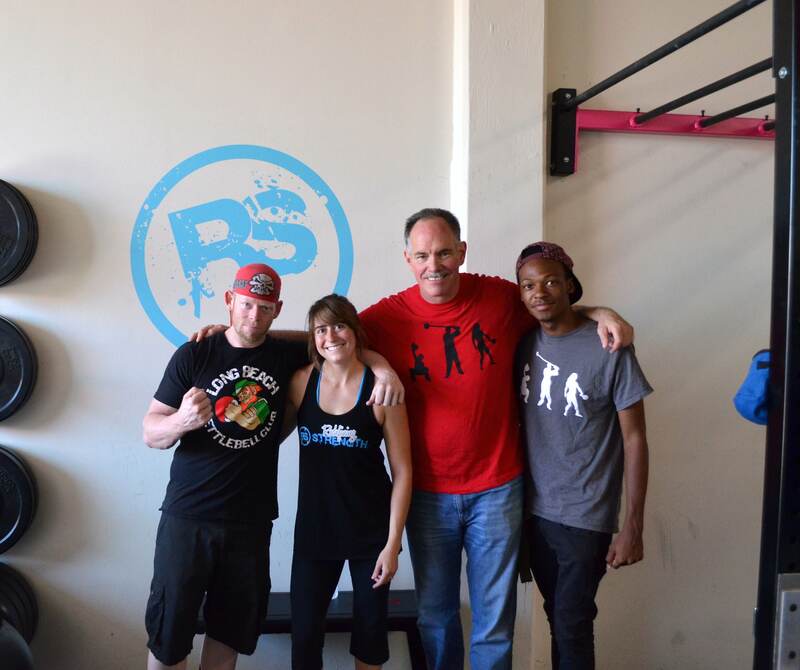 I met these three at a Steel, Stone and Sugar workshop they ran at Eric’s gym in Long Beach – Long Beach Kettlebell Club. Not only did I grow as a trainer from working with them at that workshop, but from that one workshop, I made connections with people who have supported me over the past year. When I was looking for a little advice about equipment and studio stuff, I messaged Melody. She had met me ONCE and she responded instantly and gave me great advice. She didn’t hold back afraid I would take her secrets. Instead she went above and beyond. And Eric and Rik did the same. They both even came out to celebrate my success opening the gym by even attending the Grand Opening. They came out to support me, which had no benefit for them. They are super passionate and great trainers and business owners and they came out to celebrate the opening of my small place. To support a fellow trainer. And from that, a great friendship has grown. Eric has come and trained with me to support my business. And I couldn’t be happier to go watch him and his success at the Kettlebell competitions (not only his personal success competing, but also the success of all of his athletes). Those three are great people with a passion for fitness that want to share that passion with everyone. They don’t hold back secrets afraid you’re going to steal from them. They are open and kind and that is truly what makes them not only wonderful, but so successful. So thank you Eric, Melody and Rik. You three are amazing. 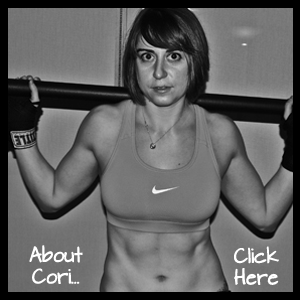 I could thank Bobbi, a fellow badass female trainer who puts up with my busy schedule and meets with me so I can ramble and sort out new programs and ideas. Thank you Bobbi! I could thank Nick, a trainer I worked with at BodyScapes, for telling me I wasn’t horrible and that I would learn (yes, there was a point when I was insecure…Seems like a different lifetime, but…haha). Nick taught me one of the most valuable lessons I would learn…That there are a ton of opinions in the fitness industry and that someone is always going to think you are wrong. True and something you have to realize and just pick the research and methodology you feel is best. I could also thank, Max Shank…Your workshop made me a more thoughtful trainer and shifted my thinking about fitness and play. I could even thank Charlotte and Caitlin, although not fitness industry per say, they were two bloggers that played a huge roll in the development of my online business. So thank you two strong ladies! Anyway, I will ramble on if I don’t cut myself off. But one final thank you…A thank you to all of my clients who inspire me every single day. I do this because of you. I love what I do because of you. You all help me grow and learn and keep me coming back for more. I sincerely love you all and would give you all hugs expect I hate hugs. So to end this slightly sappy, but hopefully also slightly informative post, I would like to say thank you. Thank you all for making this first year of Redefining Strength more successful than I could have ever imagined or hoped for. I foresee great things ahead and can’t wait to see what my reflection looks like on 7/1/2016! Posted on July 1, 2015, in Man Biceps, Show me yours. Bookmark the permalink. Leave a comment.